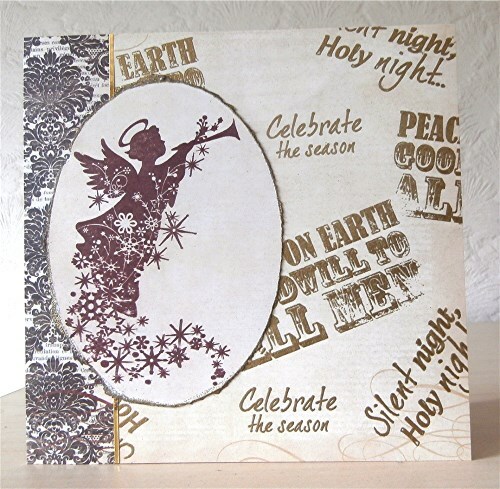 It has been great to see so many gorgeous cards using stamped images and sentiments. It's been a bit of a crazy week for me, so I'm sorry that I was a bit slow leaving comments for some of you, but I don't think I missed anyone out. 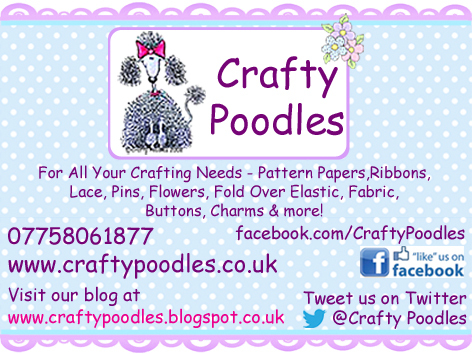 It's been lovely to see some new crafters joining us and thank you to my new followers on here and on Facebook. Before I get on to today's challenge, I need to let you know the winners of challenge 143. There were, of course, three opportunities to win a prize. Congratulations, Carol. Please email me at hazelharris@ntlworld.com with your full name and address so I can arrange for you to receive your £20 of goods from Craftybren's Embroidered Embellishments. Congratulations, Joyce. 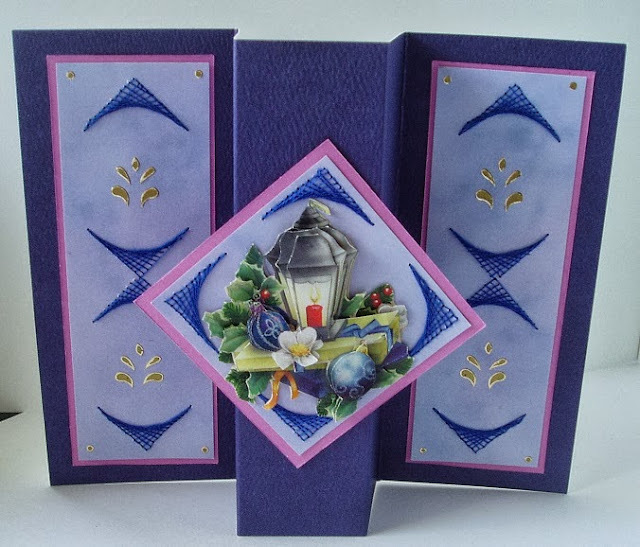 Please email me at hazelharris@ntlworld.com so I can arrange for you to receive your selection of card topper packs from Cardmaker's Delights to the value of £25. Congratulations, Helen. Please email me at hazelharris@ntlworld.com so that I can arrange for you to receive your £10 gift voucher from Stamp Addicts. 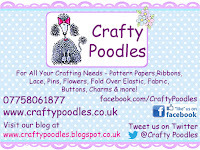 The first sponsor is Crafty Poodles, who will be giving £10 worth of goodies to the randomly chosen winner. The second sponsor is Shelly's images who are once again generously giving a $9 gift certificate to the randomly chosen winner for him/her to choose from the lovely range you will find here. The randomly chosen winner will receive a $20 voucher to spend in the Stamp and Create online store. Now it's over to you. 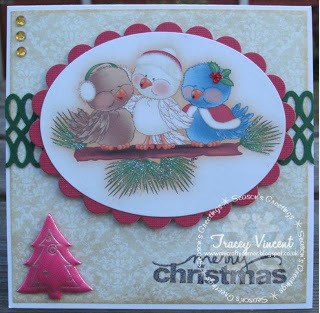 As usual, you can use any materials, any techniques, as long as the end result is a Christmas card. - this week please use three main colours. I look forward to seeing what you come up with for this challenge - please add a link to your blog post (not your blog, but the actual post where your card can be found) by 22:00 UK time Friday 4 October. Please mention my blog and create a link within the post for your creation. A new challenge will be set on Saturday 5 October when there will once again be three chances to win a prize, thanks to generous sponsors. If you haven't done so already, please become a follower and grab my bright pink button to post on your sidebar and help continue to spread the word about this challenge blog - thank you. Also it would be great if you would consider becoming a follower - lovely to welcome recent new followers - I can't believe there are now 600! Please also consider going to CHNC Facebook page and clicking 'like' - there are now over 200 'likes' - it would be great if we could increase this soon. I always show at least one of my cards for the next challenge in advance and it's a good place to catch up with any news, winners etc. Wow! 94 entries for last week's challenge - so many of you get busy with cutting out - and I loved seeing all your entries. I hope you will get your stamps out for today's challenge. Before I get on to today's challenge, I need to let you know the winners of challenge 142. There were, of course, three opportunities to win a prize. Congratulations, Vicky. Please email me at hazelharris@ntlworld.com so I can arrange for you to receive your $21 of digital stamps from Bugaboo Stamps. Congratulations, Mrs A. Please email me at hazelharris@ntlworld.com with your full name and address so I can arrange for you to receive your prize package from Tando Creative. 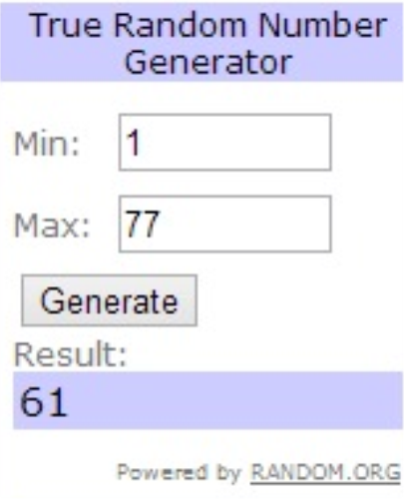 Congratulations, .Suze Please email me at hazelharris@ntlworld.com so that I can arrange for you to receive your $10 gift certificate from Cedar Chest Designs. 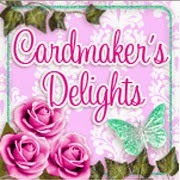 'Cardmaker's Delights is a family run business whose aim is to provide great valuecard toppers for card makers and paper crafters. There are many themes within our range, including; Birds - Animals - Butterflies - Children - Fairies - Teddies - Christmas - Cupcakes - Food & Drink - Floral - French Themed - Ladies - Feminine - Perfume - Male Themed - Mini Postcard Style - Shabby Chic - Pastels - Steampunk - UK & Patriotic! The randomly chosen winner will receive a selection of card topper packs from Cardmaker's Delights website, of their own choice, up to £25 in value. 'In store we have rubber stamps from Judikins, Denami Design, Stamps by Judith, The Artful Stamper, Printworks Collection and many more. We also have a scrapbooking department with papers, stickers, albums and embellishments. 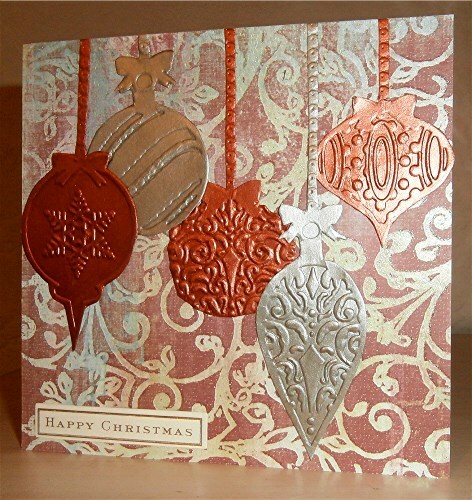 Stamp Addicts is a family run business based in Bedfordshire. We have been in business since 1992 and have watched the popularity of rubber stamping and all paper crafts steadily increase over time. The randomly chosen winner will receive a £10 gift voucher. Now it's over to you. As usual, you can use any materials, any techniques, as long as the end result is a Christmas card. - this week please use a stamp - even a sentiment will do. 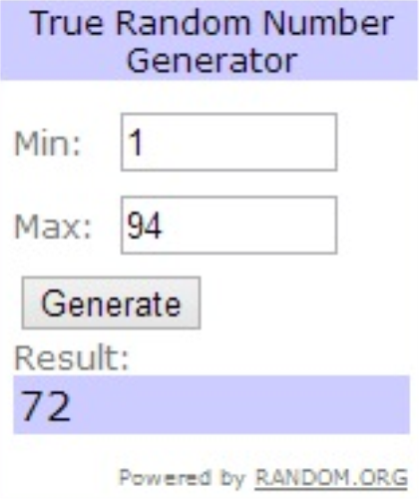 I look forward to seeing what you come up with for this challenge - please add a link to your blog post (not your blog, but the actual post where your card can be found) by 22:00 UK time Friday 27 September. 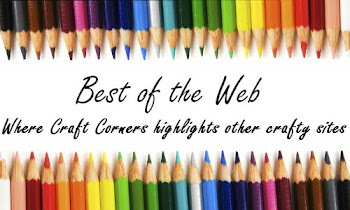 Please mention my blog and create a link within the post for your creation. A new challenge will be set on Saturday 28 September when there will once again be three chances to win a prize, thanks to generous sponsors. Lots and lots of lovely layers for last week's challenge - so many entries! Lovely to see some new people coming on board as we get closer to Christmas. I can't believe that we're now mid-way through September. 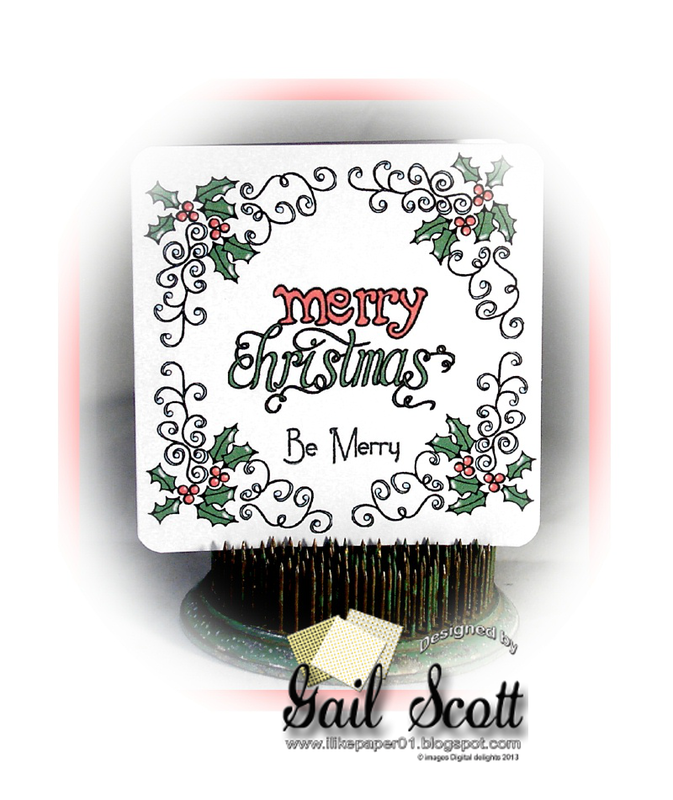 If you haven't started making your Christmas cards yet, then this is the ideal time to start before panic sets in. 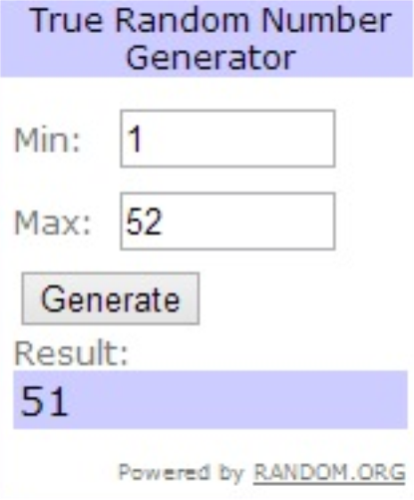 Before I get on to today's challenge, I need to let you know the winners of challenge 141. There were, of course, three opportunities to win a prize. Congratulations, Nikki. Please email me at hazelharris@ntlworld.com so I can arrange for you to receive your 5 digital stamps from Robyn'sFetish Digital Stamps And More. Congratulations, Anne-Marie. 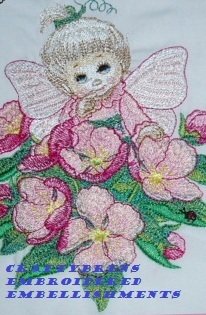 Please email me at hazelharris@ntlworld.com so I can arrange for you to receive your $20 voucher from Flonz craft. Congratulations, Tracey. 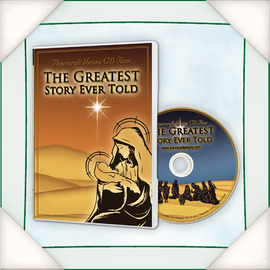 Please email me at hazelharris@ntlworld.com with your full name and address so that I can arrange for you to receive The Greatest Story ever told CD from Katy Sue Designs. Congratulations, Elizabeth. Please email me at hazelharris@ntlworld.com so I can arrange for you to receive your prize from Limited Runs Digital Stamps. Winners will receive a free $10.00 Gift Certificate to purchase anything they would like from the online store. Now it's over to you. 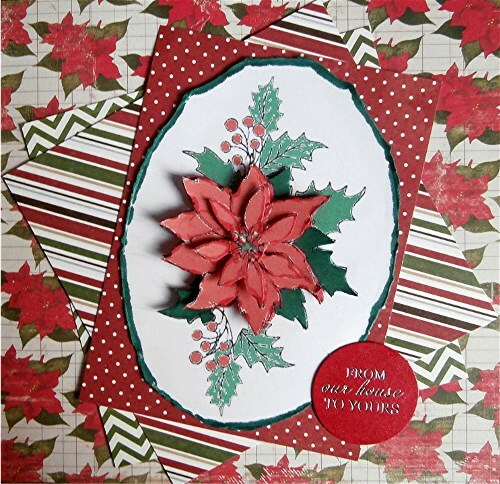 As usual, you can use any materials, any techniques, as long as the end result is a Christmas card. 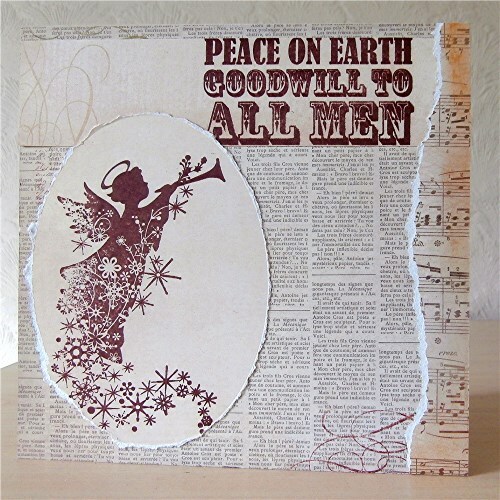 - this week please cut something out, whether you do this by hand with scissors, create a die cut or use a punch. I look forward to seeing what you come up with for this challenge - please add a link to your blog post (not your blog, but the actual post where your card can be found) by 22:00 UK time Friday 20 September. Please mention my blog and create a link within the post for your creation. A new challenge will be set on Saturday 21 September when there will once again be three chances to win a prize, thanks to generous sponsors. 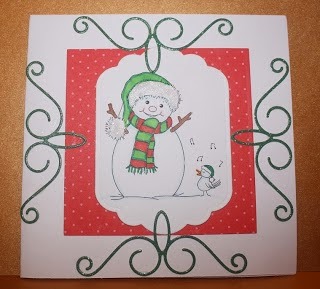 So many of you got inky and painty last week - it was wonderful to see such a great variety of Christmas crafting. Thank you so much to all the regular contributors to these challenges and also a big welcome to those who have joined in recently. Before I get on to today's challenge, I need to let you know the winners of challenge 140. There were, of course, four opportunities to win a prize. Congratulations, Gail. Please email me at hazelharris@ntlworld.com with your full name and address so I can arrange for you to receive your £15.00 worth of stamps from The Artistic Stamper. Congratulations, Irene. Please email me at hazelharris@ntlworld.com so I can arrange for you to receive your £10 voucher to spend in My mum's craftshop online. Congratulations, Alli. Please email me at hazelharris@ntlworld.com so I can arrange for you to receive your £10 voucher to spend in the Foil Play online shop. Congratulations, Ursula. Please email me at hazelharris@ntlworld.com so I can arrange for you to receive your prize from Limited Runs Digital Stamps. Now it's over to you. 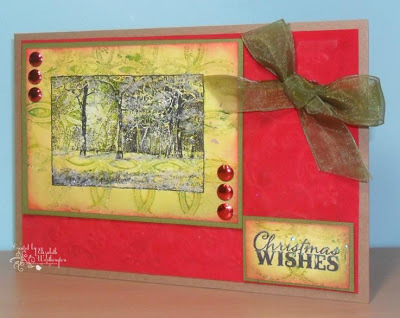 As usual, you can use any materials, any techniques, as long as the end result is a Christmas card. 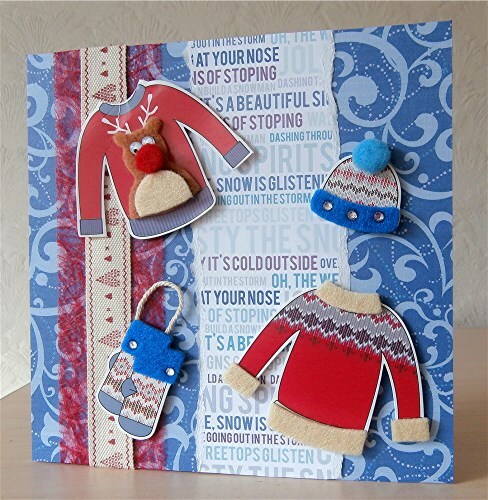 - this week please layer up your card - use at least three layers, more if you wish. 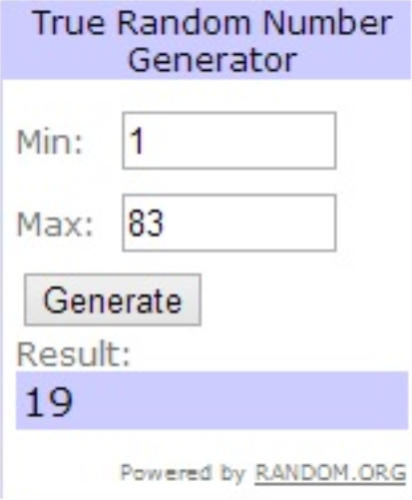 I look forward to seeing what you come up with for this challenge - please add a link to your blog post (not your blog, but the actual post where your card can be found) by 22:00 UK time Friday 13 September. Please mention my blog and create a link within the post for your creation. A new challenge will be set on Saturday 14 September when there will once again be three chances to win a prize, thanks to generous sponsors. Please also consider going to CHNC Facebook page and clicking 'like' - there are now over 200 'likes' - it would be great if we could increase this. I always show at least one of my cards for the next challenge in advance and it's a good place to catch up with any news, winners etc. 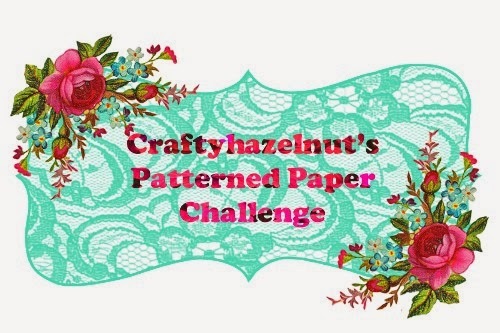 Don't forget that 'anything goes' monthly challenges are on my Craftyhazelnut's Christmas Challenge Extra blog - you can share any Christmas card you make throughout the whole month, including those that you link here - there is no restriction on the number of entries you can make throughout the month - the link for CHNC challenge extra for September is here. 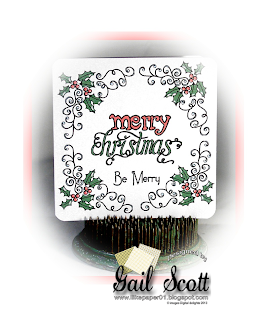 And up until next Saturday you can also link any Christmas cards for The Glory of Christmas 15: anything goes.